Late this summer, Maestro David Katz, chief judge of The American Prize, expressed a hope for the competitions "to do more" to advance the art, in part by bringing additional recognition to its competition laureates, past, present and future. Here is the first of several new initiatives to do just that. More will be announced in the coming weeks. Annually, beginning next month, The American Prize will bestow on a number of its laureates the designation "HONORED ARTIST of The American Prize." Honored Artists are individuals (or ensembles) who have proved themselves to be of "sustained excellence" over a number of seasons as contestants in the competitions. The Honored Artist designation, created to recognize solo artists and ensembles who may not have won first place but have consistently scored very highly in The American Prize competitions, is another way TAP seeks to bring attention to laureates deemed especially worthy. 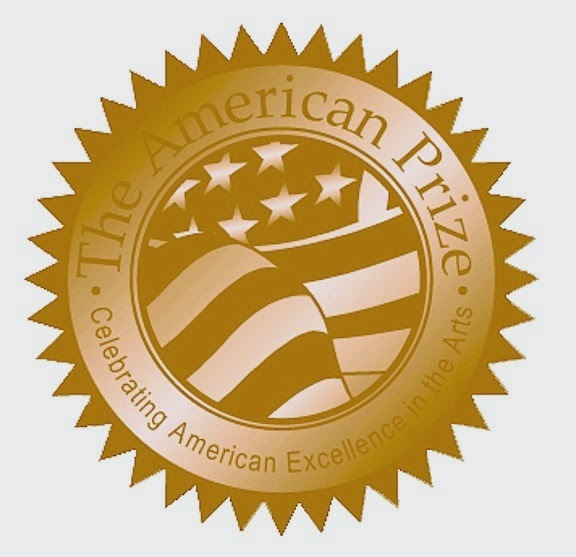 Those selected for the honor will be highlighted in a separate section on The American Prize website and on Facebook, will receive expanded listings on The American Prize blog, will be featured in individualized press releases sent to local, regional and national media, and receive a special, framed certificate. Although Honored Artist status carries with it no monetary award as yet, honorees will receive a application fee waiver for a future competition. There is no separate application. 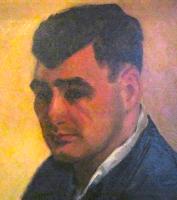 "Honored Artists of The American Prize" are given in memory of David's father, Abraham R. Katz, a gifted amateur musician, who died in 1999. The American Prize is honored to announce the winner and runners-up of The American Prize in Conducting—professional orchestra division. Congratulations! All finalists receive written evaluations from a member of The American Prize judging panel. Complete listings of other winners, finalists and semi-finalists in The American Prize competitions may be found elsewhere on this blog. Use the archive navigation tool in the right-hand column. Among judges' comments: "energetic, committed, and eminently practical." Third Prize winner of the 2013 American Prize Conducting Competition and Recipient of the 2011 American Prize "Young Conductor Citation Award,” Jason Lim was born in Penang, Malaysia received his formal training in viola performance at the Hong Kong Academy for Performing Arts. 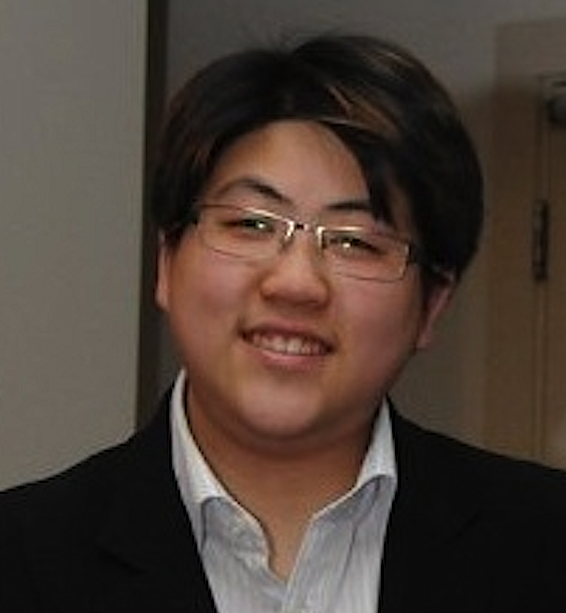 Jason Lim served as assistant conductor with the Ku Ring Gai Philharmonic Orchestra in Sydney, Australia. Jason added to his awards and achievements, winning the 1995 New South Wales Ministry of Arts Conducting Prize in Sydney, Australia and named Denton's most Fascinating people of 2012 by the Denton Record Chronicle. During his tenure as Music Director of the NOVA Ensemble, Jason led the NOVA Ensemble in its first commercial recording in 2000. Under the auspices of the “Equilibrum” label, conducting the world premier performance of Brian Bavelander’s Distant Visions for orchestra and pre-recorded tape. 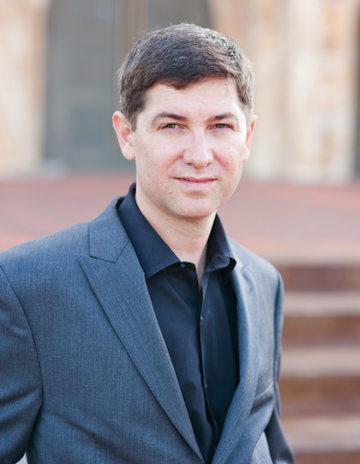 Jason is currently the Artistic Director of the Odysseus Chamber Orchestra. In 2013 Jason appeared as guest conductor with the Academic State Concert Symphony Orchestra of Ukraine and in 2014 with the Zabrze Philharmonic Orchestra in Poland. Among judges' comments: "Always in the music, calm and clear, achieving tight ensemble and spirited performances in unusual repertoire." Mr. Reona Ito was born into a musical family of three generations of conductors in Fukuoka, Japan. He is currently serving as music director for Zagreb Sinfonietta (Croatia) and the Reona Ito Chamber Orchestra & Chorus (New York City). Also he was music director of Japanese American Association of NY Chorus (2007-14), where he tried to be a cultural bridge between US and Japan through music. 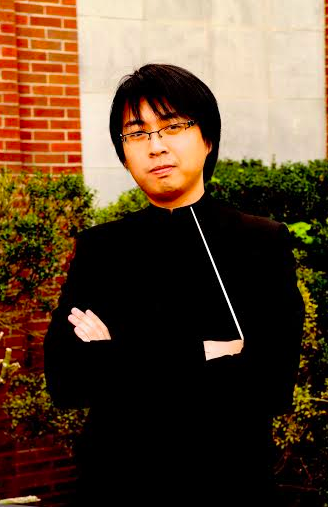 Mr. Ito holds a Bachelor of Arts in international affairs and also in music at the George Washington University. After composition and conducting study at The Juilliard School, he received a diploma in orchestral conducting from Mannes College of Music and a Master of Arts in orchestral conducting from the Aaron Copland School of Music, Queens College. He has conducted his orchestra at famous venues including Carnegie Hall (twice), Lincoln Center, and the Euphrasian Basilica, one of the UNESCO World Heritage Sites in Croatia. Among judges' comments: "A conductor of passion and skill...with hopes for his future musical endeavors." Conductor Paul Mauffray began his music studies at the New Orleans Center for Creative Arts and Louisiana State University. He was awarded 2nd Prize in the 2007 Bartok Conducting Competition and has 20 years of professional conducting experience with European orchestras and operas in Prague, Brno, Bratislava, Lyon, Salzburg, and Vienna. After studying musicology in Germany and in the Czech Republic, he earned his master's degree in orchestral conducting at Indiana University where he was engaged as Associate Instructor. Recently he conducted at the Bucharest National Opera, Slovak National Opera, Mariinsky Theater in Saint Petersburg, and appeared frequently as conductor with violin-soloist Tomas Vinklat from the Vienna Philharmonic. Paul Mauffray has also been a frequent guest conductor with the Hradec Kralove Philharmonic, Janacek Philharmonic, Bohuslav Martinu Philharmonic Zlin, and with the Schoenbrunn Palace Orchestra in Vienna. He is currently reconstructing and performing the 1894 opera "Tabasco" by George W. Chadwick. Among judges' comments: "Good knowledge of scores...intensity in abundance..."
The American Prize is honored to announce the winner and runners-up of The American Prize in Conducting—college/university orchestra division. Congratulations! All finalists receive written evaluations from a member of The American Prize judging panel. 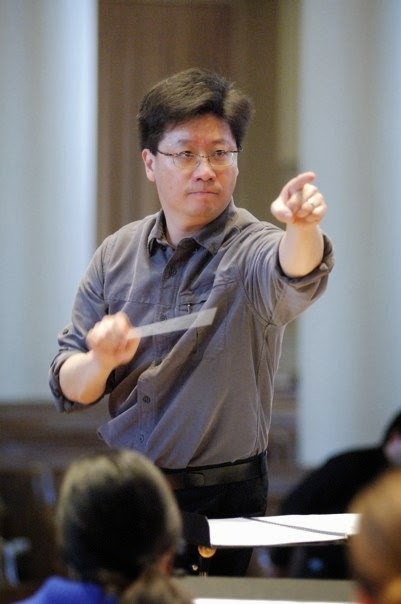 Passionate about working with young musicians and music education, Chris Younghooon Kim is the Director of Orchestras at Cornell University and is an active adjudicator, guest clinician, and masterclass teacher. The League of American Orchestras and ASCAP have awarded the first place award for Adventurous Programming of Contemporary Music to the Cornell Orchestras among all collegiate orchestras in 2008, 2009, 2010, 2011, 2012 and 2014. With the Cornell Orchestras he has led international tours and joint collaborations with the Royal Irish Academy of Music, and Conservatorio de Musica de Puerto Rico. Before coming to Cornell, Chris was active in the new music scene in Boston conducting the Firebird Ensemble and the Kalistos Chamber Orchestra. Since 1997 he has been the Artistic Director of the new music ensemble Brave New Works in Ann Arbor, Michigan, one of America’s most innovative and progressive ensembles. He has appeared with orchestras in the United States and abroad, including ensembles such as the Louisiana Philharmonic Orchestra, Delta Festival Ballet, Symphoria, based in Syracuse, NY, Divertimento Ensemble of Milan, Italy. He has also appeared in music festivals such as, Kinhaven Music Center, Skaneateles Music Festival, International Bartok Festival in Szaombarthely, Hungary, among others. He is an active promoter of music of our time, and has collaborated with dozens of composers, and commissioned and premiered numerous new works. He was recently chosen to be one of three young conductors to appear at the Ensemble Moderne Academy in Innsbruck, Austria being mentored by members of Ensemble Moderne at the 2012 Klangspuren new music festival. He has also been chosen as the first wave of conductors to take part in the College Orchestra Directors Association’s Ibermusicas initiative in 2014, and will guest conduct Orquesta Sinfónica del Neuquén, Patagonia, Argentina. Among judges' comments: "just about the ideal tempo, spirit and energy. (Tchaikovsky 4th)"
Among judges' comments: "Music is felt. Dramatic...obviously knows the score well. " 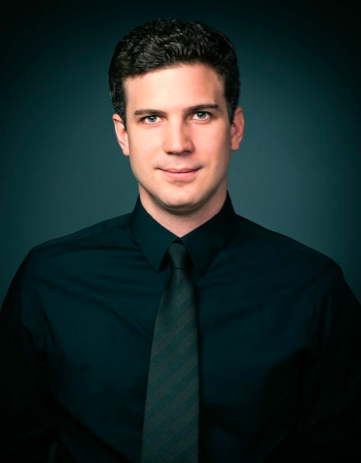 Joel Neves is Music Director of the Keweenaw Symphony Orchestra at Michigan Technological University. He has elevated the Keweenaw Symphony Orchestra through captivating performances that entertain and inspire. Joel energetically champions community collaboration, creating the KSO Chamber Music Series, the Keweenaw Honors String Festival for K-12 string musicians, and commissioning new works by Upper Pensinsula composers. Joel’s recent professional conducting engagements include the Pine Mountain Music Festival’s “Finnharmonic Orchestra” and the Kentucky Music Educators Association All-Collegiate Orchestra. He makes his professional South American conducting debut in 2015 leading the Orquesta Sinfónica de Entre Ríos in Argentina. Neves was assistant conductor of the Orchestra of Southern Utah for three years. He has also conducted the Orquestra de Cadaqués (Barcelona), Bakersfield Symphony Orchestra, and Bard Festival Orchestra. Joel received his master’s degree from Brigham Young University and his doctor of musical arts in orchestral & opera conducting from Arizona State University. Among judges' comments: "Debussy displays good style, is nicely balanced. Very fine knowledge of score." 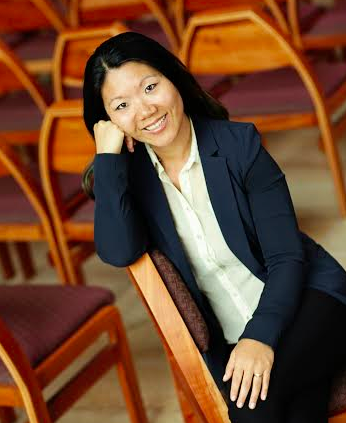 Dr. Tiffany Chang holds a Doctor of Musical Arts degree in Orchestral Conducting from Boston University. She previously received several degrees in music education, cello performance, composition, and music theory from Oberlin Conservatory. 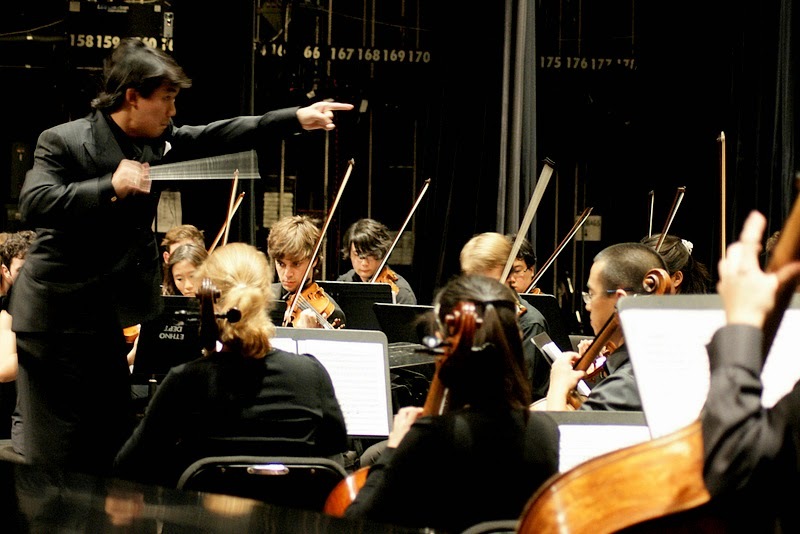 Dr. Chang is currently the founder and conductor of the New England Repertory Orchestra, Music Director for the North End Music and Performing Arts Center's Opera Project, and staff conductor for the Boston Youth Symphony Orchestras. She additionally holds the position of Assistant Professor at the Berklee College of Music and serves as the Assistant to the Director of Orchestral Activities at Boston University. During her time at Boston University, she has also served as Assistant Conductor for the Tanglewood Institute’s Young Artists Orchestra and the Opera Institute. Dr. Chang studied conducting with David Hoose and Bridget-Michaele Reischl. Her notable awards include the Kahn Career Entry Award, Pi Kappa Lambda Prize for Musicianship, and Theodore Presser Scholarship. Among judges' comments: ",,,very musical, feeling, clear...Elgar is lovingly presented." The American Prize is honored to announce the winner and runners-up of The American Prize in Conducting—opera division. Congratulations! All finalists receive written evaluations from a member of The American Prize judging panel. Maria Sensi Sellner is recognized for her versatility as a conductor of opera, orchestras, and choruses. Praised for leading with “flexible assurance” (The Cleveland Plain Dealer) and “authority” (Pittsburgh Tribune Review), Ms. Sellner’s performances have been described as “sterling” (The Boston Globe), “adept” (Schenectady Daily Gazette), and “nothing short of incredible” (Berkshire on Stage). Back to back winner of the American Prize in Opera Conducting, she is the founder and Artistic Director of Resonance Works | Pittsburgh, Director of the Akron Symphony Chorus, and Associate Conductor of the Mendelssohn Choir of Pittsburgh (chorus of choice of the Pittsburgh Symphony Orchestra). She has conducted productions for Hubbard Hall Opera Theater, the Boston Opera Collaborative, Opera Theater of Pittsburgh, the Solon Center for the Arts, and the Carnegie Mellon University School of Music. She has guest conducted the Akron Symphony Orchestra, the Edgewood Symphony, and the Carnegie Mellon Philharmonic, and recently served on the faculty at Carnegie Mellon University as Interim Director of Choirs. Among judges' comments: "mighty impressive...excellent work. Beat always mirrors the energy and feeling of what is to come." Among judges' comments: "...impressive production of a difficult score...beat is energetic, welcoming... judicious tempos, high level of knowledge of material..."
Dr. Kira Omelchenko is assistant professor of music and the director of the Orchestra and Strings Program at Florida Southern College. Prior to Florida Southern College, she served as the director of Orchestra and Strings Studies at the University of Tampa. She is the recent recipient of the ASTA String grant, as well as the UT Alumni, Dana, and the David Delo Research Professor Grants. 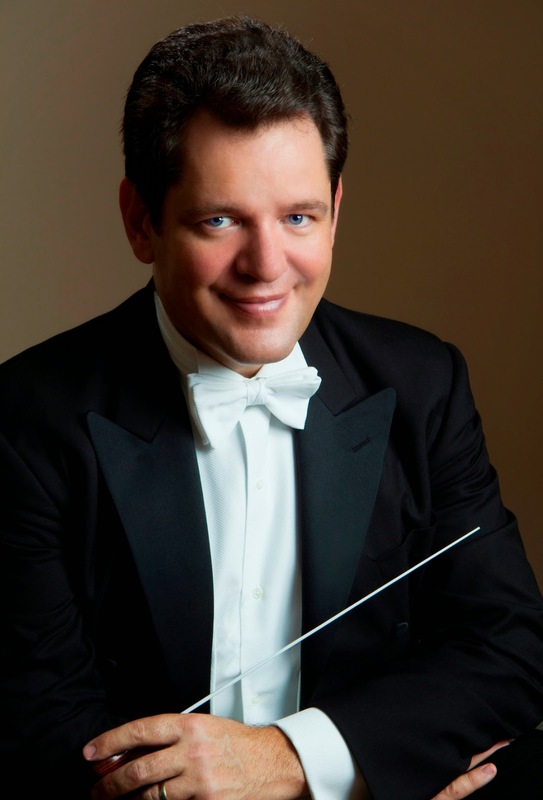 A finalist for the American Prize in Conducting, Dr. Omelchenko specializes in orchestral conducting, operatic conducting, and violin performance and instruction. 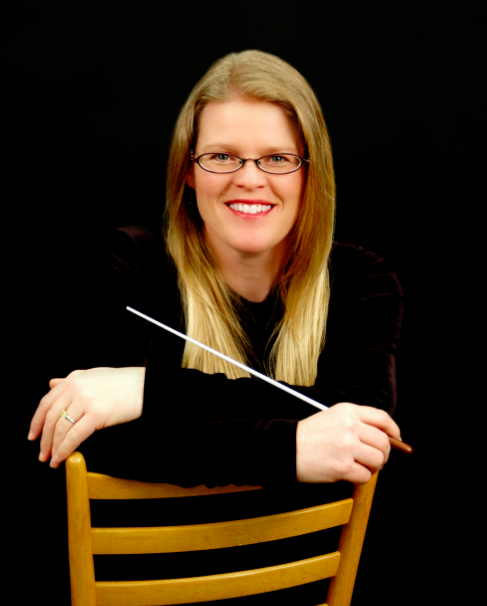 She has conducted at several All-County Orchestra Festivals, as well as worked with Middle School and High School students at Orchestra Summer Music Camps at the University of Tampa and the University of Iowa. She is in great demand as a guest conductor, lecturer, clinician, and adjudicator. 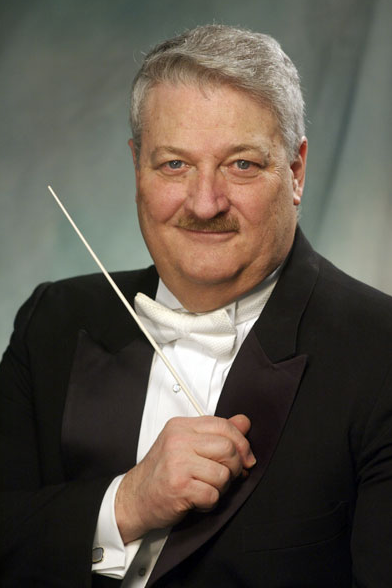 Dr. Omelchenko has served as the music director of St. Ambrose University Community Symphony Orchestra in Davenport. She was also the assistant conductor to opera production at the University of Iowa, the University of New Mexico, as well as the International Opera Lyric Academy in Viterbo, Italy. 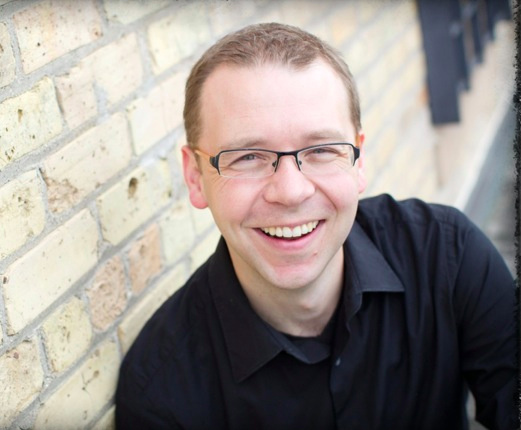 Dr. Omelchenko has also been a conducting fellow with the Waterloo-Cedar Falls Symphony and was the recipient of the 2012 Sigma Alpha Iota Conducting Scholarship. International conducting fellowships include studies in Vienna, Rotterdam and Amsterdam conservatories in the Netherlands, and Bulgaria. As guest conductor, she has conducted at the Seasons Music Festival Orchestra in Yakima, Washington and with the Bulgarian State Opera in Burgas. A native of Kansas, Dr. Omelchenko holds a doctoral degree in music from the University of Iowa and degrees from the University of New Mexico and Knox College. Among judges' comments: "good posture, clear beat, makes the big moments 'work.' Expects— and adjusts—to get what she wants." The American Prize is honored to announce the winner and runners-up of The American Prize in Conducting—band/wind ensemble division. Congratulations! All finalists receive written evaluations from a member of The American Prize judging panel. Praised as an “Outstanding Arts Educator” by the Orange County Department of Education, Teren Shaffer currently serves as Music Director & Conductor of the Frederick Fennell Wind Ensemble at the Orange County School of the Arts, Associate Conductor & General Manager of the Orange County Youth Symphony Orchestra, and Adjunct Professor of Conducting at the Chapman University Conservatory of Music. 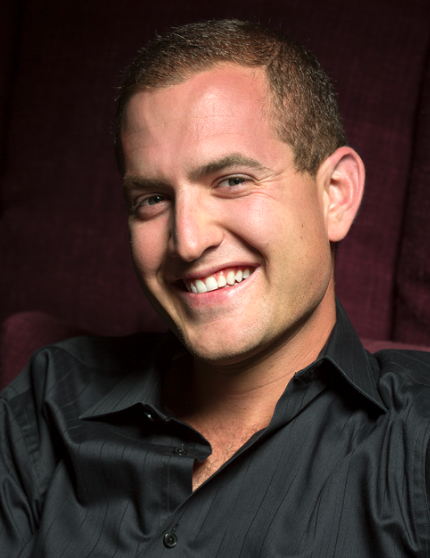 Mr. Shaffer also maintains an active professional career as a conductor, clinician, and adjudicator, and recently began a music production, artist management, and entertainment consulting firm, First & Grand Entertainment, LLC. Among judges' comments: "incisive, committed leadership...technically and musically highly skilled." 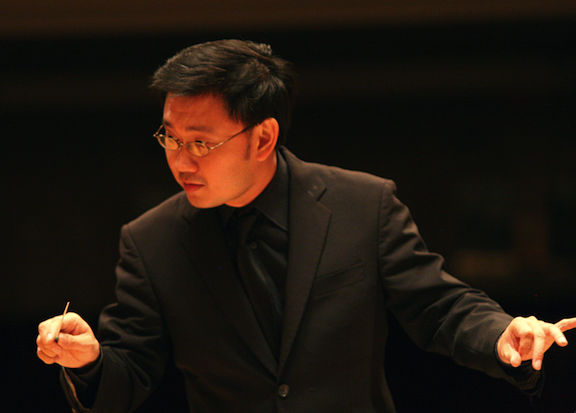 Recently graduated from the doctoral conducting program at University of Cincinnati College-Conservatory of Music, Thanapol Setabrahmana has been appointed the position of the Director of Bands at College of Music, Mahidol University in Thailand. He serves as the music director and conductor of its premiere ensemble, Mahidol Wind Symphony. Setabrahmana holds a Master of Music degree in Wind Ensemble Conducting from the New England Conservatory and a Bachelor of Music degree in Music Composition from Mahidol University. His previous positions include the faculty member of CCM Preparatory Preparatory Department, Assistant Conductor of the Cincinnati Youth Wind Ensemble, Graduate Conducting Associate of CCM Winds Studies, and Assistant Conductor of Mahidol Symphony Orchestra. Among judges' comments: "I like that he focuses on the long line. Quite accomplished." Trae Blanco holds a B.M.E. from New Mexico Sate University, is completing a MM in Wind Conducting, and serves as an Associate Instructor in the Department of Bands/Wind Conducting at the Indiana University Jacobs School of Music. Mr. Blanco will be pursuing a DMA in conducting beginning fall 2014 at the Herberger Institute for Design and Arts at Arizona State University. Mr. Blanco was Director of Bands at Las Cruces High School in New Mexico from 2008-2012. Under his direction the ensembles at Las Cruces High received superior ratings at New Mexico festivals. The Jazz Band One was selected in 2010 to be the New Mexico All State Honor Jazz Band and the Symphonic Winds were selected in 2011 to be the Honor Concert Band by the New Mexico Music Educators Association. Mr. Blanco was also the recipient of the 2010 NM Music Educators New and Emerging Teacher Award. Among judges' comments: "engaged, energetic—band plays very well for him." 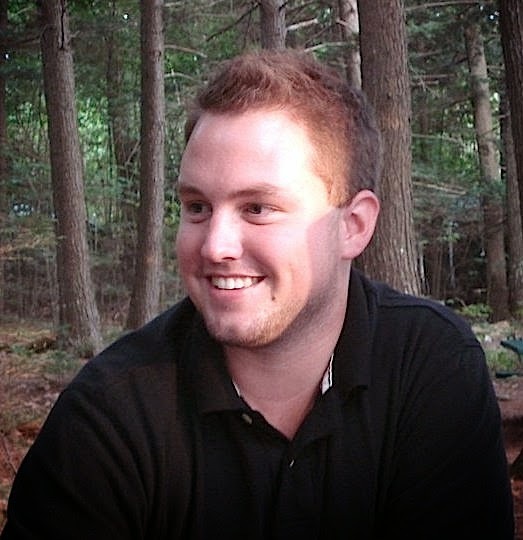 Corey Seapy is a graduate student at the Ithaca College School of Music, where he studies conducting with Stephen Peterson, Cynthia Johnston Turner, Jeffery Meyer, and Jonathan Pasternack. He works with a variety of groups including the Ithaca College Wind Ensemble, Concert Band, Symphonic Band, Campus Band, and new music ensembles. Prior to arriving in Ithaca, he served as Director of Bands at Georgetown Middle/High School in Georgetown, MA. He also conducted the Northeast Massachusetts Youth Wind Ensemble and was the assistant conductor of the Gordon College Wind Ensemble. Corey holds a B.M. in Music Education from Gordon College in Wenham, MA. Among judges' comments: "calm, sensitive, musical, good posture and expression, very natural." The American Prize is honored to announce the winner and runners-up of The American Prize in Directing, 2014. Congratulations! All finalists receive written evaluations from a member of The American Prize judging panel. 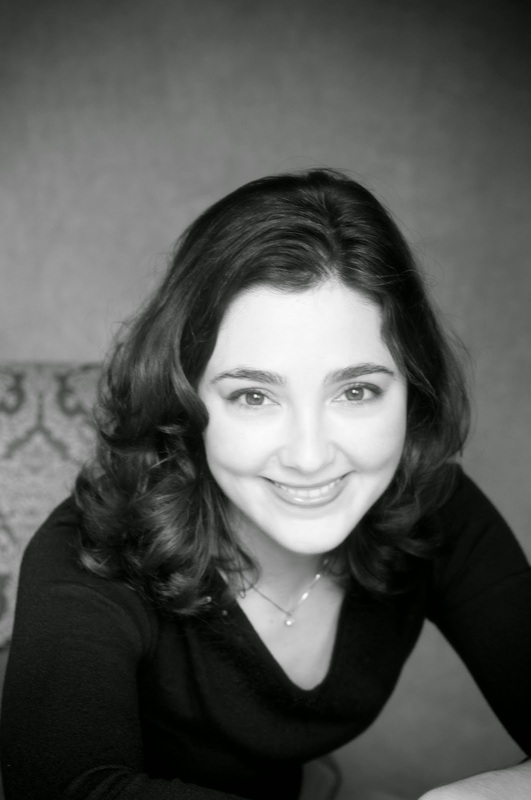 for "Sancta Susanna" and "Suor Angelica"
Linda Lister is Phi Beta Kappa graduate of Vassar College and the Eastman School of Music. She has directed UNLV Opera Theater’s productions of La Canterina, The Impresario, Carmen, The Fairy Queen, L’elisir d’amore, Suor Angelica, Sancta Susanna, and Ariadne auf Naxos. She has also directed productions of The Merry Widow, Hansel and Gretel, Cendrillon, The Medium, The Old Maid and the Thief, Dialogues of the Carmelites, Orpheus In the Underworld, Gianni Schicchi, Dido and Aeneas, Roman Fever, Orpheus and Eurydice, Bastien and Bastienna, and The Gondoliers. Also a composer, she has written several one-act operas, including How Clear She Shines! about the Brontë sisters. Dr. Lister serves on summer faculty of the Druid City Opera Workshop, and is the Opera Director at the University of Nevada, Las Vegas. A certified CorePower Yoga instructor, Dr. Lister is author of Yoga for Singers: Freeing Your Voice and Spirit through Yoga (2011). Among judges' comments: "…this is a riveting production that gets to the core of the opera…"
Kristina Keener Ivy, producer and director, is a former high school choir director turned professional performer and private music instructor. She has performed with various jazz bands, as a member of various church worship teams, on three film soundtracks, and in numerous musical theater productions throughout the Southwest. She has also worked as a musical director for over 20 local productions including Peter Pan, Beauty and the Beast, Seussical and High School Musical. Four years ago she founded Top Billing Entertainment Performance Academy and their first two productions were nominated for 12 National Youth Arts Awards and won three. She is looking forward to producing many more main stage productions and touring shows with Top Billing Entertainment. Among judges' comments: "No time lags at any point. Excellent throughout." Stage Director Daniel Ellis continues to garner wide attention for developing new work with renowned artists while bringing innovative theater and opera to wider audiences. A graduate of The New School for Drama in New York City, Daniel has directed over 10 world premieres including the Off-Broadway production of Frank Gagliano's, Dancing with Joy. His co-directed production of Scarlet Woman received the 2011 Best of Fest Award at the Winnipeg Fringe and Edmonton International Fringe Festivals. Stay Tuned, featuring the vocal ensemble Five By Design, premiered with the Arkansas Symphony and has been performed with over 25 symphony orchestras. Daniel was named Artist in Residence for the Minnesota Opera 2012-2014 seasons collaborating with artists including Kevin Newbury on the world première of Doubt, Thaddaeus Strassberger, and Eric Simonson on a new production of The Dream of Valentino. 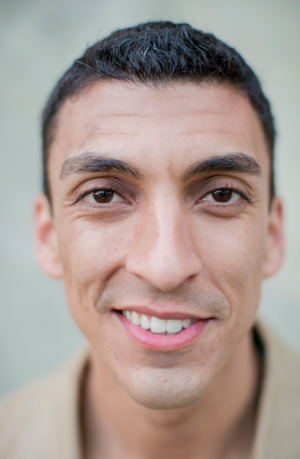 Daniel is an associate member of the Stage Directors and Choreographers Society. Among judges' comments: "….a balanced piece…clear direction throughout." The American Prize is honored to announce the winners and runners-up of The American Prize in Musical Theater Performance, 2014. Congratulations! It had been a life-long dream of Kristina Keener Ivy's to start a performing arts group. After performing all over the country and heading a similar program at West Covina High School for five years, she decided to found her own 501(c)3 nonprofit where she could ensure that each performer is treated with respect, given professional instruction, and given the opportunity for a featured solo. 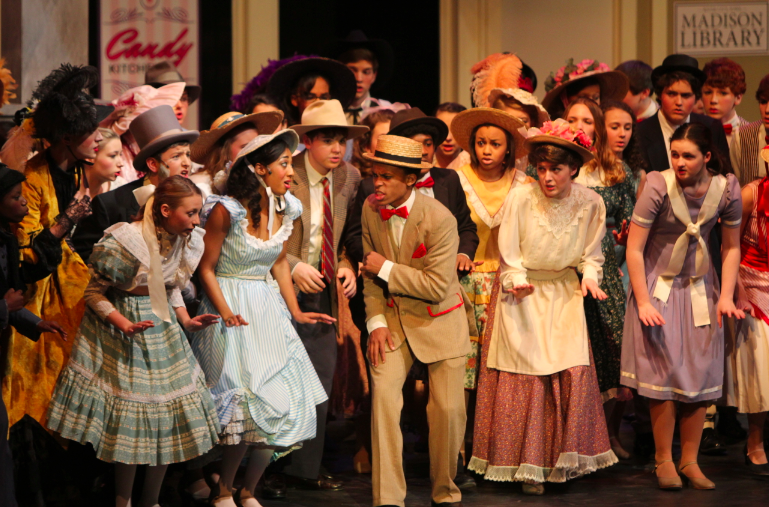 For Top Billing Entertainment's first two shows ever, we received 12 National Youth Arts nominations and three wins. In the future we plan to expand to a year round, full service performance academy which offers private instruction, group classes, and public performances in acting, on camera acting, dance, voice, all instruments, and anything else that interests our students that relates to the performing arts. Among judges' comments: "You can tell that extensive time has been spent on acting, singing, and dancing equally." Established in 1981, Davidson Fine Arts is a public magnet school in the Richmond County School System serving 791 students in Grades 6-12. The population is equally balanced between middle and high school and between minority and non-minority status. Students are admitted on selective criteria based upon prior school record, good character, and an audition in five fine arts. • US News & World Report- One of the top 100 Schools in the Country 2007-2013 . • Ranked 43rd Best Public School in United States by bestschools.org for 2013. • American Prize in Choral Performance – Davidson Chorale/2012. • National Grammy Signature School for the music programs 2004 and 2005. • Award winning Drama Department productions : One Act Play Competition(Regional and State), SETC, and the Georgia State Thespian Conference. 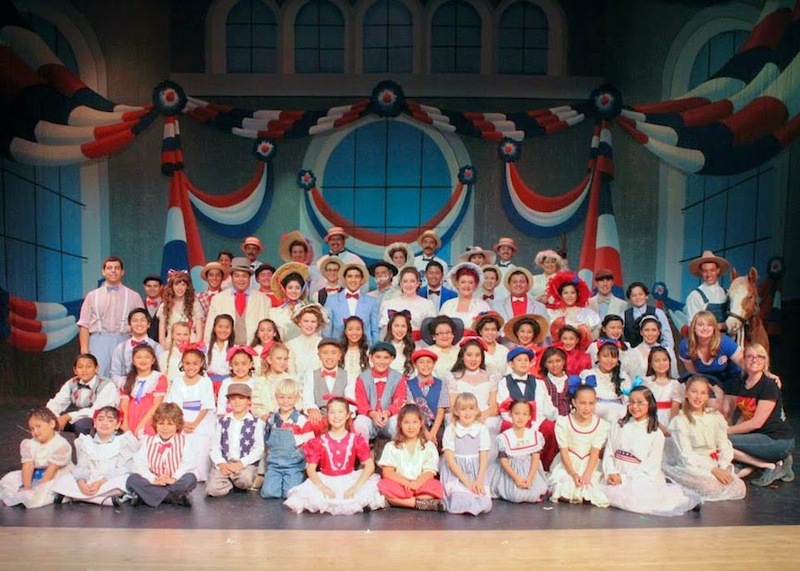 Our “Music Man” ensemble involved over 180 student participants including actors, crew, orchestra and marketing and played to over 2000 people in our community. Among judges' comments: "Great dancing in 76 Trombones and Marian the Librarian and in act 2. Great sets throughout." for "Phantom of the Opera"
Young Artists of America was founded in 2011 to provide talented young instrumentalists and vocalists with exceptional opportunities to perform, train with, and be mentored by professional artists and educators in fully orchestrated performances, including large scale works of opera, musical theatre, oratorio and dance. 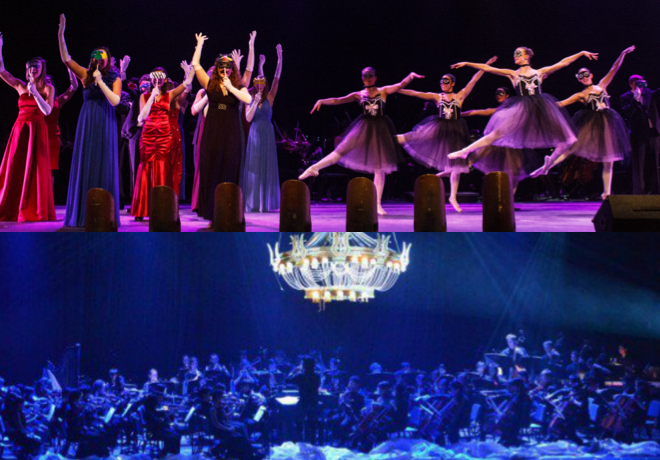 Young Artists of America is the first known program of its kind in the nation to bring together high school aged instrumentalists and vocalists to specialize in, study and perform large scale vocal works, and specifically opera. The cornerstone of our organization is our Mentoring Program, in which students are not only coached by professional instrumentalists and singers, but also perform alongside them. Recent productions include fully orchestrated performances of The Phantom of the Opera, Madama Butterfly & Miss Saigon, and most recently Songs for a New World conducted by the Tony-award winning composer, Jason Robert Brown. Among judges' comments: "Great balance between orchestra and singers." The American Prize is honored to announce the winners and runners-up in the professional orchestra division of The American Prize in Orchestral Performance, 2014. Congratulations! 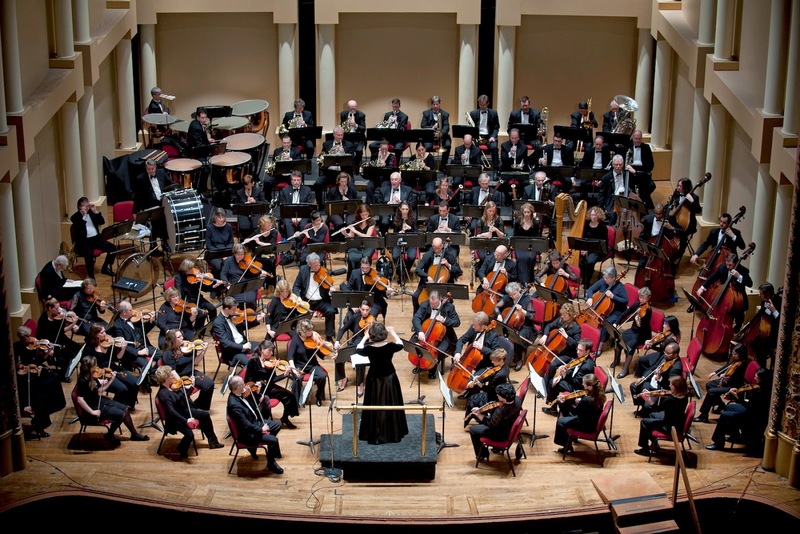 The Allentown Symphony Orchestra was founded in 1951 to provide music to the Lehigh Valley. For 63 Seasons, the orchestra has brought inspiring music, outstanding guest artists, unique productions, and unforgettable performances to the region. From 1951 to 1983, founding conductor, Donald Voorhees (NBC’s Bell Telephone Hour) showcased legends such as Placido Domingo, Benny Goodman, Carol Channing, and Phyllis Diller. William Smith, the conductor from 1986 to 1990, simultaneously served as the assistant conductor of the Philadelphia Orchestra. Diane Wittry was appointed Music Director in 1995 after a national search. Through her tenure, the orchestra has grown in quality level and in the number and types of concerts presented. The ASO currently performs 5 Classical concerts (Sat/Sun), 4 Pops concerts, Educational and Family concerts, Tchaikovsky's Nutcracker, and a chamber music series. Diane Wittry brings an original programming style, creating innovative concert experiences that excite audiences. Among judges' comments: "…demonstrates a confidence and finesse in major repertory." Founded in 2012, Odysseus Chamber Orchestra consists of professional classical musicians from Denton, Frisco and surrounding areas. In its short history the Odysseus Chamber Orchestra has supported local service clubs, like the Denton Breakfast Kiwanis Club, the Robson Ranch Kiwanis Club, sponsoring events such as the Eliminate Project Cruise and the Passing of the Banner Dinner. Furthermore, OCO pioneered the Mentorship Program. The brainchild of Artistic Director, Jason Lim, this program provides high school orchestra students the opportunity to rehearse and perform side-by-side with members of OCO. 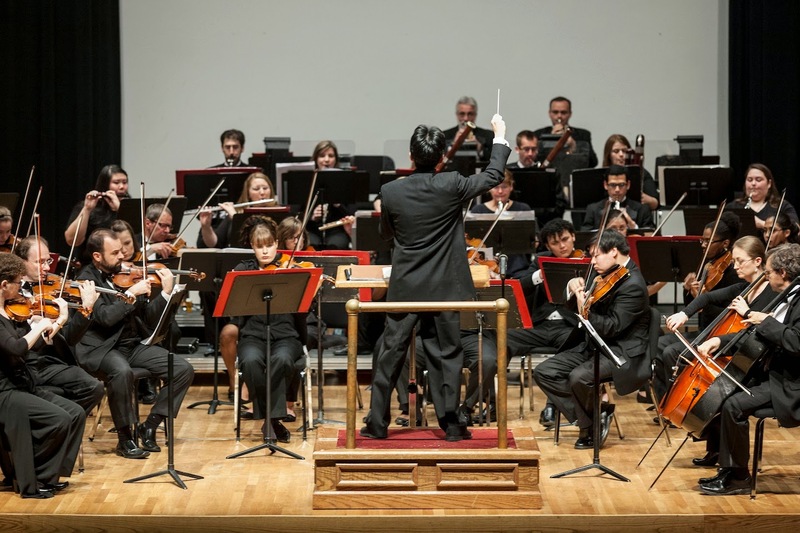 Most recently, The Odysseus Chamber Orchestra was awarded third place in the American Prize Competition, distinguishing it as a premier emerging ensemble. Among judges' comments: "…has much potential especially playing contemporary works…"
The Michigan Philharmonic, one of the most innovative and dynamic professional orchestras in Southeast Michigan, was recently awarded the prestigious Knight Foundation Arts Challenge Grant and received 2nd Place honors from The American Prize, professional orchestra division. Nan Washburn, Music Director and Conductor since 1999, has won 18 ASCAP Awards for Adventuresome Programming of Contemporary Music from the League of American Orchestras. Michigan Phil is bringing its events into an ever-expanding roster of Michigan communities, including Plymouth, Canton, Birmingham-Bloomfield, the Grosse Pointes, Downtown Detroit, and many others. The organization is committed to reaching out to a broad and diverse array of audiences and providing enjoyable cultural and social experiences. Currently in its 68th Season, the orchestra plays a full season of concerts throughout the year including pops, outdoor, Bollywood and Fusion Festivals. The Philharmonic also has an extensive education program that includes the Michigan Philharmonic Youth Orchestra. Among judges' comments: "…strong playing by the entire orchestra along the Appian Way." The American Prize is honored to announce the winner and runners-up of The American Prize in Conducting—community orchestra division. Congratulations! All finalists receive written evaluations from a member of The American Prize judging panel. 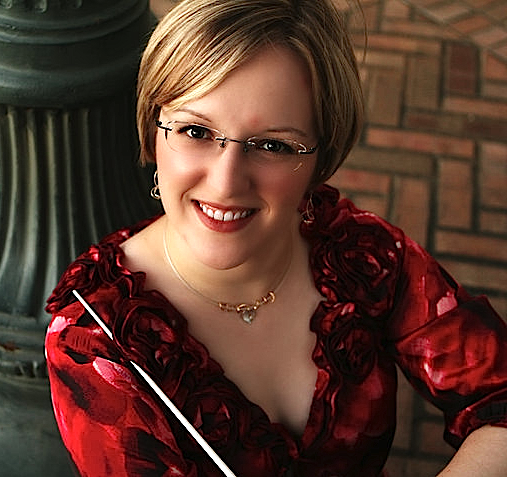 Anna Edwards, conductor, founder and music director of the Seattle Collaborative Orchestra, holds many positions as an artist/teacher in the Seattle area conducting the Seattle Festival Orchestra as interim Music Director and in the Spring of 2014, conducting the Saratoga Chamber Orchestra as one of three finalists in their Music Director search. Currently, Anna is a DMA conducting candidate at the University of Washington where she studies with Ludovic Morlot and David Rahbee. 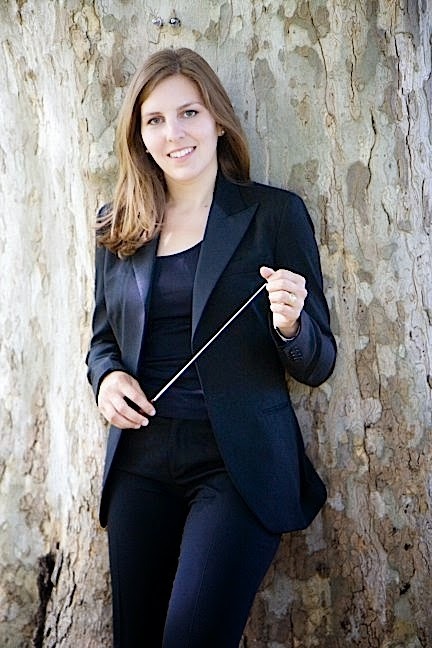 Previously, Edwards has studied conducting at the prestigious Pierre Monteux School for Conductors and Orchestra Musicians and the Cabrillo Festival of Contemporary Music where she studied conducting with Michael Jinbo, Gustav Meier, and James Ross. Ms. Edwards is currently a member of the Auburn Symphony and has been a freelance violinist in the Seattle Metro area playing with such groups as the Pacific Northwest Ballet, Northwest Sinfonietta, and multiple chamber ensembles for the past 22 years. Among judges' comments: "clear, musically and emotionally involved, expressive…Higdon especially impressive." Known as the energetic and incisive Music Director of New York City’s Park Avenue Chamber Symphony, David Bernard has performed in more than 20 countries on four continents, including a nine-city tour of the People's Republic of China with the Park Avenue Chamber Symphony and guest conducting appearances with the China Conservatory Orchestra, the Long Island String Festival, the Massapequa Philharmonic, the New York Symphonic Arts Ensemble, the Putnam Symphony and the South Shore Symphony. A two-time First Prize Winner of the Orchestral Conducting competition of The American Prize, David Bernard’s discography includes 17 albums spanning music from Vivaldi to Copland, including a recently released album of the Complete Beethoven Symphonies, available on Amazon.com, iTunes, Napster and Rhapsody. Of these recordings, Fanfare Magazine reviewers acclaimed "David Bernard's interpretations are splendidly proportioned; from the first note to the last the listener feels that this is the way the whole work must go...balances are expertly judged and wonderfully blended...overall, distinguished and elegant music making." Devoted to the music of our own time, Bernard has presented world premières of scores by Bruce Adolphe, Chris Caswell, John Mackey and Ted Rosenthal, while distinguished concert collaborators include Carter Brey, David Chan, Catherine Cho, Pedro Díaz, Bart Feller, Whoopi Goldberg, Judith Ingolfsson, Christina Jennings, Jessica Lee, Jon Manasse, Todd Phillips and James Archie Worley. Bernard is an alumnus of The Juilliard School, Curtis Institute of Music, Stony Brook University, Tanglewood and Saratoga Performing Arts Center, and studied with Sergiu Celibdache, David Lawton, Roger Nierenberg and Arthur Weisberg. Among judges' comments: "The entries of orchestral ‘solos’ were clear and their character was matched by the conductor who was able to ‘accompany’ the soloists and then take charge of new aspects of the work." In his first season as a conductor with The Chelsea Symphony, Reuben Blundell is in his fifth year at the City University’s prestigious Hunter College. As the Hunter Symphony’s Music Director, he has launched new-music programs, worked with choreographers and museums, and raised the orchestra’s profile through performances in new spaces. Blundell is active as a freelance conductor: recent engagements include concerts with the South Orange Symphony (NJ) and the Lansdowne Symphony (PA). In 2013 he also conducted the New World Symphony (FL) alongside Artistic Director Michael Tilson Thomas, and he also conducted and taught in Iraq during the summer, for American Voices in a project supported by the US State Department. Continuing to perform as a violinist, Reuben plays regularly in The Chelsea Symphony, and is a former fellow of the New World Symphony and Tanglewood Music Center, and received his DMA from the Eastman School of Music in 2010. Among judges' comments: "Watching the conductor at rehearsal showed The Chelsea Symphony’s desire to get it right while in a respectful but ‘easy going’ manner." The American Prize is honored to announce the winners and runners-up in the community orchestra division of The American Prize in Orchestral Performance, 2014. Congratulations! 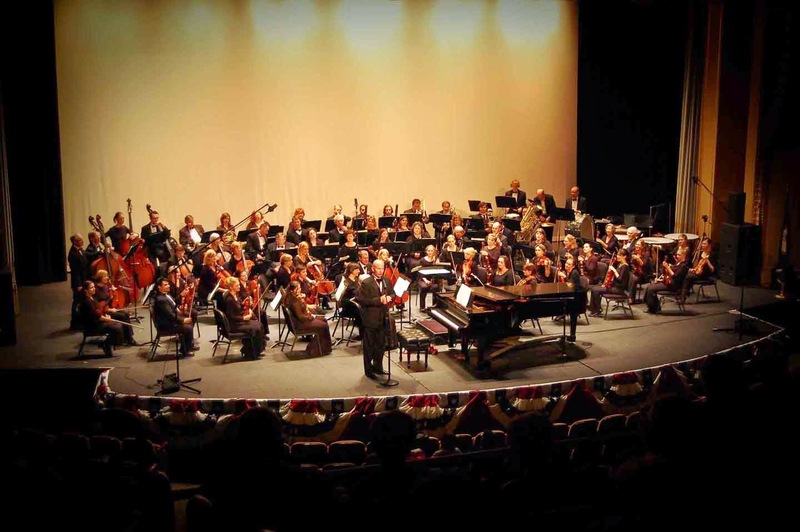 Created in 1990, the Valdosta Symphony Orchestra serves both the cultural life of Valdosta and the regional academic mission of Valdosta State University. The high standard of performance of the orchestra enables it to attract guest soloists of national and international renown to the Valdosta community. 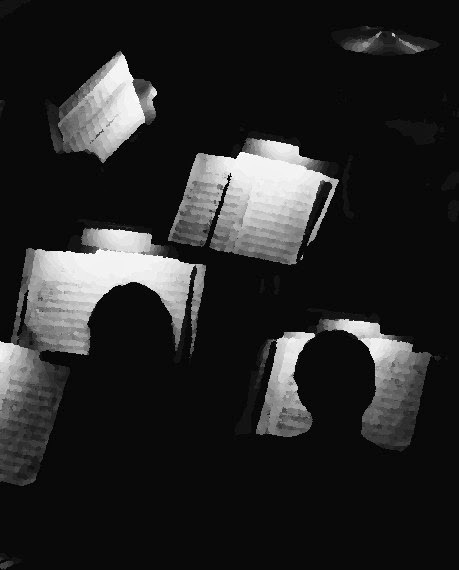 The orchestra's membership is a unique blend of resident artist-faculty, students studying professional music disciplines, talented community performers, and carefully selected professionals from a five-state region. 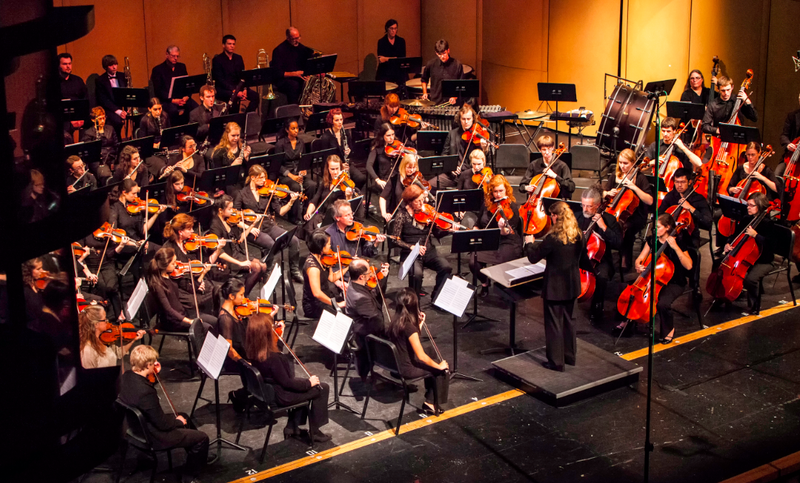 Supported by an Advisory Board of Directors, the Valdosta Symphony Guild, Valdosta State University, corporate sponsors, and hundreds of individual patrons, the orchestra has become an important part of the cultural life of the entire region. Among judges' comments: "The ensemble plays with excellent intonation and balance. The individual wind and brass players are of high quality and play with lovely tone." Since its founding in 1999, the Park Avenue Chamber Symphony has built a loyal following, both in New York City and worldwide through its extensive catalog of recordings on iTunes, Naxos/ClassicsOnline, Amazon and Spotify. In 2011 the orchestra toured the People’s Republic of China performing in 9 cities including Beijing, Qingdao, Dalian, Chaoyang, Jinzhou, Shenzhen, Shenyang and Xi’an. The Park Avenue Chamber Symphony’s performances are acclaimed by New York Critics as “Triumphant...polished…exquisite…with a strong sense of style and commitment…with the depth and fervor of the old school European orchestras.” The ensemble regularly features important soloists including Carter Brey (principal cellist, New York Philharmonic), David Chan (concertmaster, Metropolitan Opera Orchestra), Jon Manasse (clarinet soloist) and Whoopi Goldberg (Oscar-winning actor and entertainer), as well as emerging artists from Juilliard, Manhattan School of Music and Mannes. The Park Avenue Chamber Symphony performs at All Saints Church on the Upper East Side of NYC, with additional performances at Carnegie Hall, Alice Tully Hall and Avery Fisher Hall. Through its fundraising efforts, the Park Avenue Chamber Symphony has helped establish a new Scholarship Fund for students at the Juilliard School’s Pre-College Division, as well as support The Harmony Program—a New York City organization that provides music lessons to economically disadvantaged children and is modeled after Venezuela’s world-famous model of music education, “El Sistema”. Among judges' comments: "This is an excellent orchestra with many experienced players of quality, especially in the string sections." Seattle Collaborative Orchestra is an intergenerational, semi-professional community orchestra with a strong educational component based in collaboration. Musicians of the Seattle Collaborative Orchestra largely consist of members or alumni of Seattle high schools and University of Washington music students, in addition to members of professional music ensembles in the Seattle area (i.e. Seattle Symphony and Pacific Northwest Ballet). It is our aspiration to spread musical enjoyment to our Seattle metropolitan community. Among judges' comments: "…sensitive ensemble playing, very accurate and musical. There are exceptional individual players in the orchestra." 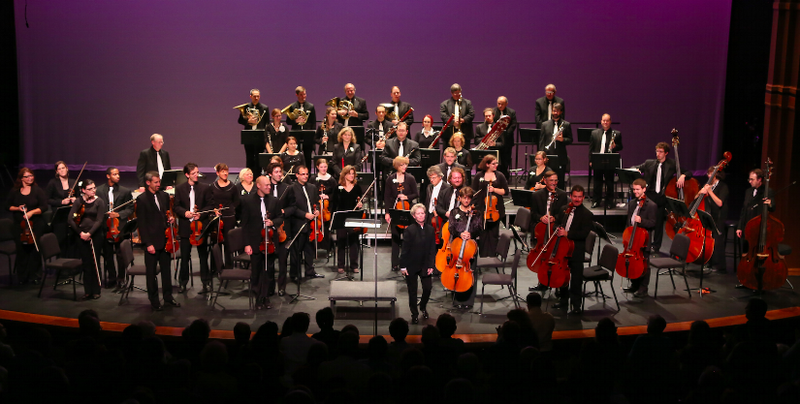 The Waynesboro Symphony Orchestra ( WSO ) founded in 1996, is a non-profit organization of professional, amateur and student musicians serving Waynesboro, Staunton, Charlottesville and other Central Virginia Communities. The WSO provides dedicated instrumentalists with opportunities to collaborate in an intergenerational and educational environment, to share in the joy of music-making and to contribute to the cultural vitality of the region. Among judges' comments: "...very intense opening; deeply felt; strings very good. As a whole, a very moving and musical performance." The American Prize is honored to announce the winner and runners-up of The American Prize in Conducting—youth/high school orchestra division. Congratulations! All finalists receive written evaluations from a member of The American Prize judging panel. 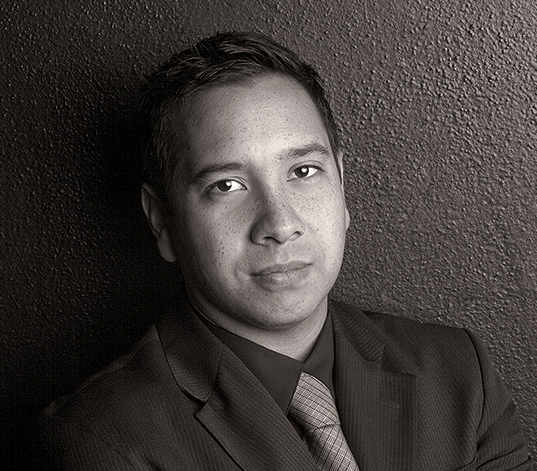 Originally from Indiana, Angel Velez currently works in Los Angeles as a conductor and orchestrator while completing graduate studies at the University of Southern California and working with the renowned Santa Monica High School orchestra program. Velez has worked on projects such as Family Guy, Star Wars: The Clone Wars, James Bond: Goldeneye for Wii, Rouge Bresil, Madison, and others. 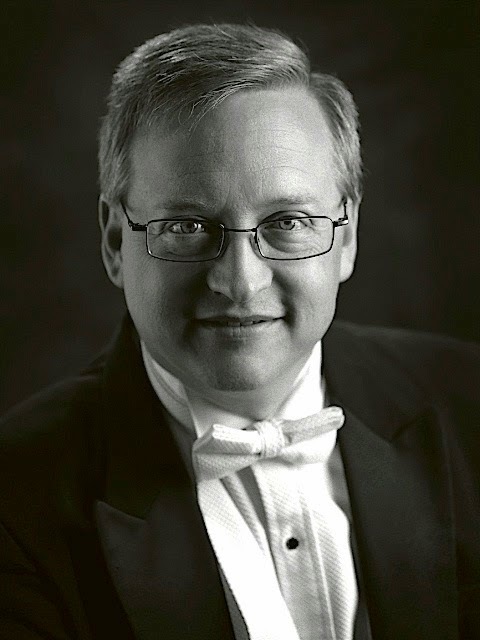 He has extensive experience as an orchestral conductor, working with orchestras such as the Berlin Sinfonietta, Yakima Symphony Chamber, Opus Orchestra of Indianapolis, and many others. He has held positions at Taylor University (Indiana) and most recently Marian University (Indiana) where he was the director of bands and head of the percussion department. Velez is a student of conducting pedagogues, Donald Thulean and Kenneth Kiesler, and holds degrees from Butler University, Berklee College of Music, and the University of Southern California. Among judges' comments: "His technique is clear and rehearsal style relaxed yet focused and productive." Among judges' comments: "...an experienced conductor conducting a superb group of musicians through difficult repertory." 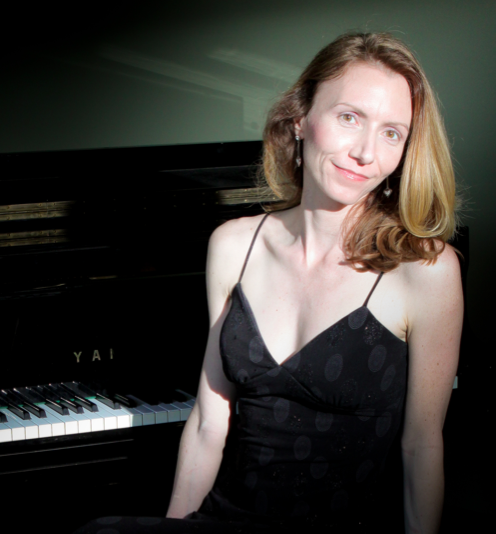 Presently Ms. Dreiling is on the adjunct faculty at University of San Diego and faculty for the USD Chamber Music Festival and is adjunct faculty at Grossmont College. She is the violinist with Trio Licenza, the piano trio, in residence at USD, and she also performs as violist with Grossmont Symphony String Quartet. She is the violinist with The California Consort, founded by legendary contrabassist, Bertram Turetzky. Alyze Dreiling was born in Detroit, Michigan. She began her studies with Mischa Mischakoff. 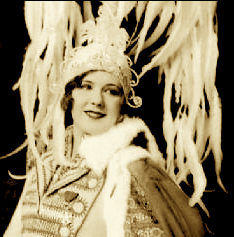 Ms. Dreiling graduated from Indiana University where she studied with Josef Gingold. Since then she has appeared as soloist with the Detroit Symphony, Philharmonica Hungarica at the Vienna Summer Festival, the Florida Chamber Orchestra, Knoxville Symphony, Knoxville Chamber Orchestra to name a few. Ms. Dreiling was founding Artistic Director/ Conductor of Classics for Kids. Alyze also served as the Violinist/Conductor of the International Chamber Players at USIU. She has played concertmaster for Donna Summers, Smoky Robinson, Dionne Warwick and Tom Scott, and for shows at the Old Globe, Civic Auditorium, LaJolla Playhouse, Lawrence Welk and Starlight Theater. She has also played with San Diego Symphony, San Diego Chamber Orchestra, and Hutchins Consort. Among judges' comments: "…a very effective conductor…"
The American Prize is honored to announce the winner and runners-up of The American Prize in Conducting—college/university chorus division. Congratulations! All finalists receive written evaluations from a member of The American Prize judging panel. 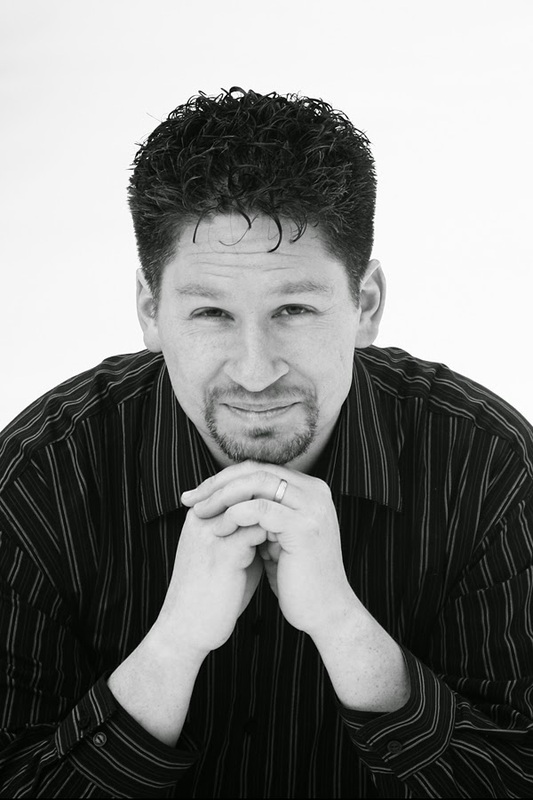 Kevin L. Baker holds a Bachelor’s degree in music from Southwest Baptist University, a Master of Music degree in Choral Conducting and the Ph.D. in music Curriculum and Instruction from the University of Missouri-Columbia. He spent 7 years as a high school choral director, and has held the position of Director of Choral Activities at Mineral Area College, St. Norbert College, Culver-Stockton College and Southern Utah University. He has been awarded tenure at the high school and collegiate levels and is highly active as a conductor, clinician and adjudicator, having led nearly 100 such events. 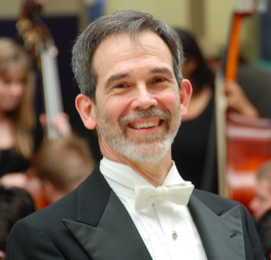 He has championed community engagement and the choral/orchestral genre, starting multiple Music Masterworks programs that bring together community singers, instrumentalists and collegiate musicians. He has held membership in professional organizations such as the American Choral Directors Association, the National Association for Music Education and the National Association of Teachers of Singing. Among judges' comments: "...clear and expressive, reflecting the musical style of each piece...a conductor easy to sing for..."
Dr. Deanna Joseph is director of choral activities at the Georgia State University School of Music, where she conducts the University Singers and leads the master's program in choral conducting. 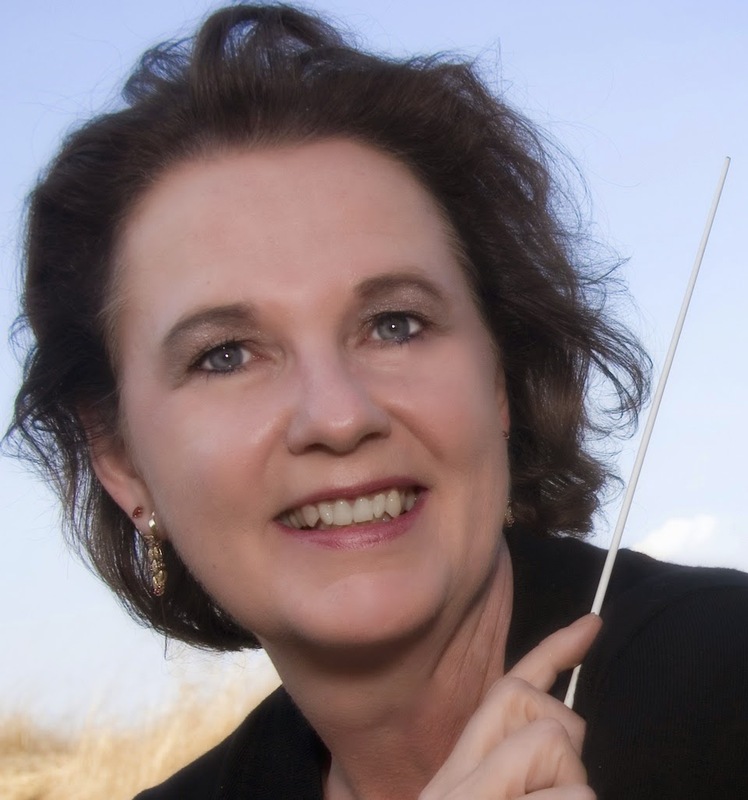 She is also the artistic director of the Atlanta Summer Conducting Institute (ASCI), a weeklong masterclass for conductors that takes place annually in June. In May of 2013, the University Singers competed in La Florilège Vocal de Tours where they placed second overall in the mixed choir category and Dr. Joseph was honored with the Prix du chef de chour. Additional honors from 2013 include an invited performance at the Georgia Music Educator's Association annual conference and the North American premiere of David Bintley's Carmina Burana with the Atlanta Ballet. Dr. Joseph is an active guest conductor and clinician and has conducted all-state and honor choirs in more than ten states. She is a frequent conductor of choral-orchestral repertoire, and has led performances of Mendelssohn's Elijah, Beethoven Mass in C, Mozart's Requiem, Haydn's Creation and Lord Nelson Mass, Schubert's Mass in A-flat and Bruckner's Mass in D Minor. Dr. Joseph's research in the area of 19th century choral-orchestral performance-practice has led to invited presentations on the topic at several division conferences of the American Choral Director's Association and at the national convention for the National Collegiate Choral Organization. Dr. Joseph holds conducting degrees from the Eastman School of Music, where she was awarded the Walter Hagen Conducting Prize. She was a semi-finalist for the Grammy Foundation's Music Educator Award in 2014. Among judges' comments: "Ease and naturalness, comfort and musicality...and a name to remember." Timothy McDonnell is conductor of the Ave Maria University Chamber Choir, as well as director of choral activities for the University. Since 2011, Maestro McDonnell has also been the director of the Symphonic Chorale of Southwest Florida. Dr. McDonnell founded the chamber choir upon assuming his post at Ave Maria University in 2007. Previous to this he served as the chapel master at the Pontifical North American College, located in Vatican City, Rome. In this capacity, he led the 38 members of the men’s choir in several liturgical services per week as well as special concert performances in the city of Rome. From 2002-2005, Dr. McDonnell served as the founding director of the ensemble Schola Nova in Philadelphia, which specialized in performing chamber and choral works from across the centuries. Dr. McDonnell is active as a composer and arranger and teaches music theory in addition to choral music at Ave Maria University. Among judges' comments: "The conducting is clear and cues are given so that the orchestra and choir are comfortably together."